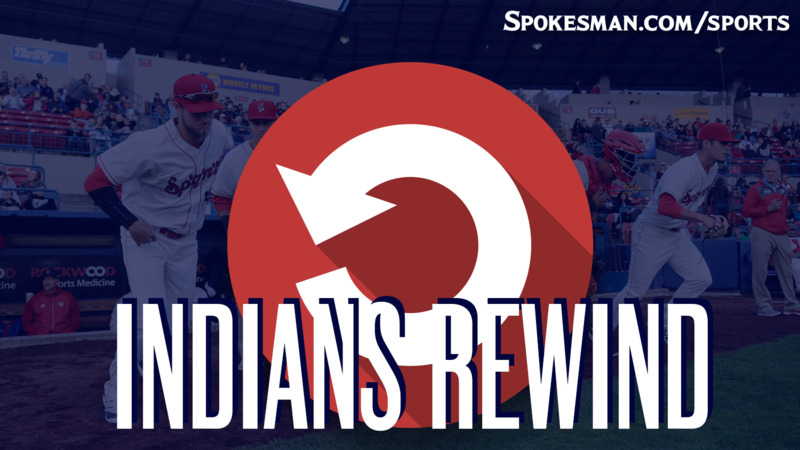 Isaias Quiroz hit a broken-bat single to plate the go-ahead run in the eighth inning and the Indians (2-0) handled the visiting Dust Devils (0-2) 5-3 on Thursday. The Big Play: Quiroz’ liner couldn’t have been hit more softly and if the infield was at normal depth it probably would have been a double play. The Good: Arias. He keeps hitting and his average is up to .348. The Bad: Starling Joseph went 0 for 3 in the No. 9 hole. The Ugly: J.P. Martinez went 0 for 4 with three strikeouts. The Takeaway: Hasuan Viera – who hadn’t played since Monday and had just 26 at-bats in the month – drew a walk to load the bases in the eighth before Quiroz’ big hit. Next Game: Indians vs. Tri-City on Friday at 6:30 p.m. at Avista Stadium. Published: July 27, 2018, 11:55 a.m.